‘Ed Blazino’ otherwise known to those in Pittsburgh at the Post-Gazette as Ed Blazina! The Newspaper Guild sector conference met in Orlando between Jan. 14-18. A new name for our Union was one of the majors decisions that was made. 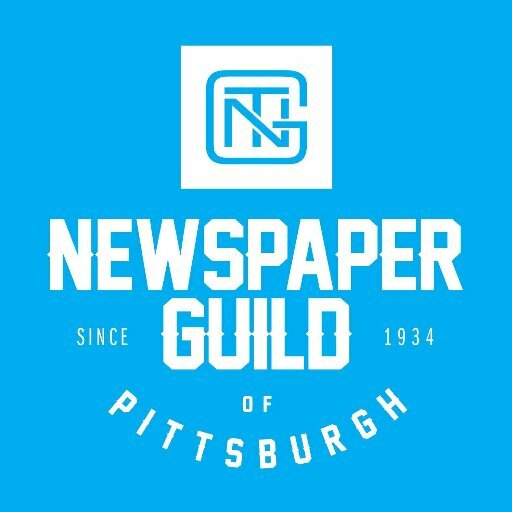 Delegates voted to change the name of The Newspaper Guild-CWA to The NewsGuild-CWA, reflecting media and union changes. Pittsburgh 1st Vice President Ed Blazina told delegates how the local had finally won a contract after more than eight years without raises. Overwhelmingly ratified, the contract is the first since 2006 without concessions. Blazina noted that bosses balked at first when the local wanted to serve pies in the newsroom — a campaign statement about getting “our piece of the pie” — but changed their minds when members said they’d serve it on the sidewalk outside.